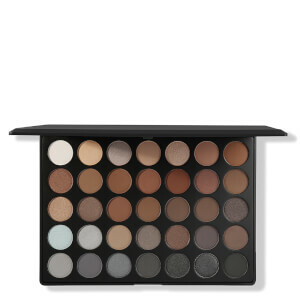 Create show-stopping eyes with the Morphe 35T Dope Taupe Eyeshadow Palette. 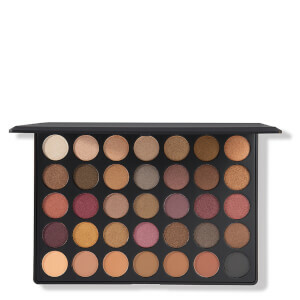 Combining 35 universally flattering shades in matte and shimmer finishes, the neutral-toned palette allows you to create an endless range of looks, from subtle and smokey to daring and dramatic. 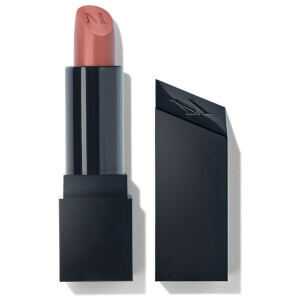 Buttery rich and highly pigmented, each striking shadow applies effortlessly, delivering unmistakable colour that blends effortlessly to create a diffused and professional-looking finish. 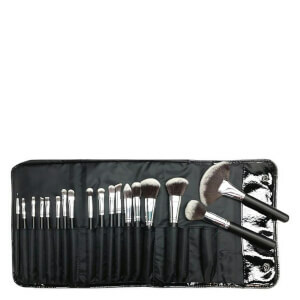 With complementary shades of cool grey and warm plum, the versatile palette is a makeup bag must-have. Row 1: Major, Fly, Bomb, Rad, Supes, Killin’ It, Sweet. Row 2: Dope, Coolio, Amaze, Shiz, Tight, Oh Snap, Totes. Row 3: Amped, Primo, Bada$$, Righteous, Sick, All That, Clutch. Row 4: Mint, Aces, On Fire, Obsessed, Legit, Fierce, Wicked. Row 5: Awesome Sauce, Boss, Legend, OMG, Fresh, Yas, Crazy Cool. Aplique diretamente nas pálpebras. Use tons mais claros como base, tons médios no côncavo e tons mais escuros no “V” externo do olho.